We have installed a multi use games area and these are designed and specified to meet playing characteristics for varied sports including football, netball, tennis and basketball. The sport courts can vary in size, dimensions and measurements because of restrictions on site but the most common dimensions are 38m x 18m or 35m x 17m which allows all the sport line marking to be installed onto the pitch. 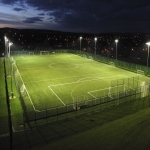 Our specialists nearby are able to advise you on the best MUGA to have built for your specific facility. We will evaluate what activities you will be playing and the funds which you have available in order to create the best facility for you. We work closely with our clients to make certain that they receive the best possible service and that they're happy with the finished result. 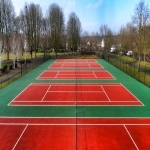 For more information about needlepunch surfaces and more details on this, check this http://multiusegamesarea.co.uk/surfacing/multisport-synthetic-muga/ it is full of interesting information. Activity facility surfacing in surrounding areas are an outdoor external recreational play area that need regular maintenance to make sure it keeps the full safety measures and surface performance. On-going maintenance procedures include deep cleaning, drag brushing, rejuvenations and possibly even resurfacing to upgrade the existing surface. Maintenance may be completed for many surfaces, find out more about it here http://multiusegamesarea.co.uk/surfacing/bitmac-macadam-surfaces/ carrying out regular services should improve performance qualities. Testing can be carried out to run reports to see whether the flooring meets the playing performances of FIFA, AENA, ITF or Sport England. The governing bodies set out testing parameters with regards to the MUGA slip resistance, ball rebound, force reduction, vertical deformation of the surfacing and many other tests. To find out more about this type of testing, have a look at this page http://multiusegamesarea.co.uk/muga-testing/ It is a duty of diligence for the sport clubs, leisure centres or councils to make sure the multi-use games area is a safe environment for the children, kids and players. Please get in touch with us to discuss the costs of installation, maintenance and repairs for a MUGA sport facility. 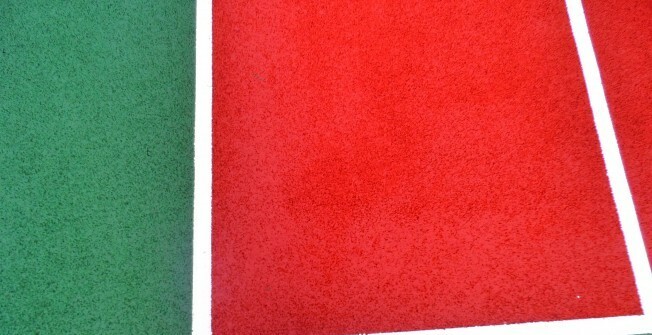 The sports court surfaces on the games areas differ dependent upon the primary sport but in general the sport surfaces are macadam Bitmac tarmac type 1 + 2 MUGAs, polymeric sports surfacing type 3 + 4 MUGAs and lastly a type 5 surface which includes sand filled synthetic turf, sand dressed AstroTurf and 3G artificial grass. 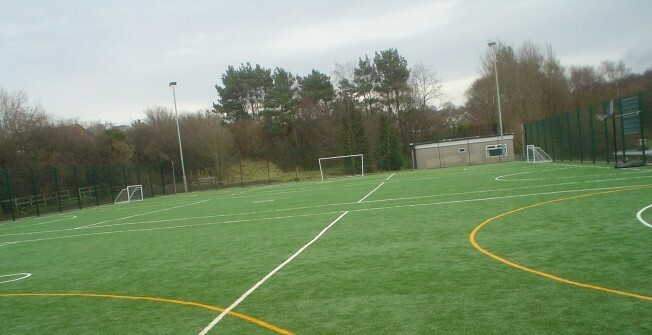 We often install macadam MUGA's for different sport and leisure facilities, so please have a look at this page http://multiusegamesarea.co.uk/surfacing/bitmac-macadam-surfaces/ and these area ideal for schools as they are easy to maintain throughout the year.